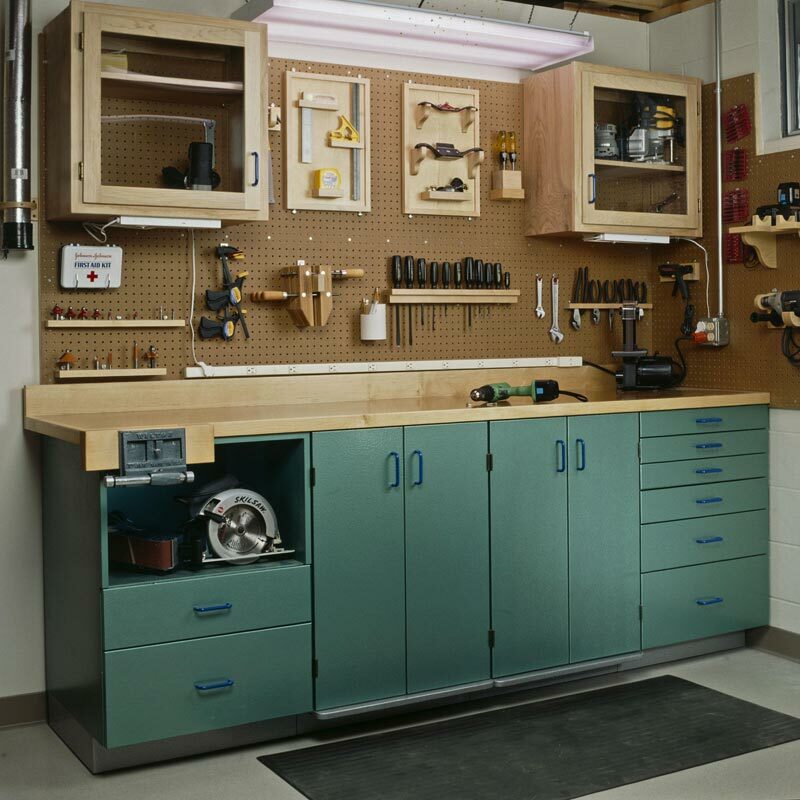 At the heart of any good shop lies a great workbench. 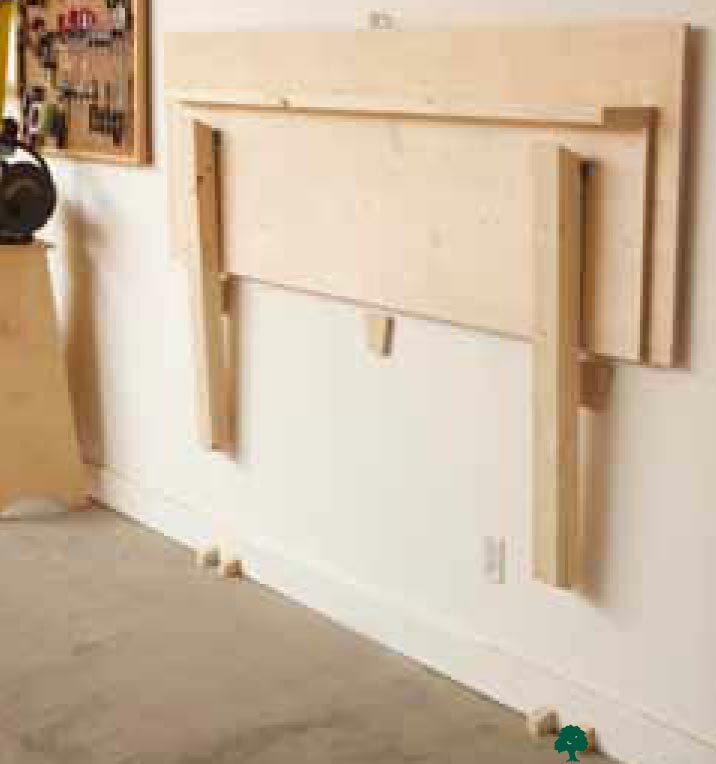 With that in mind, we went all out to design the unit shown here. 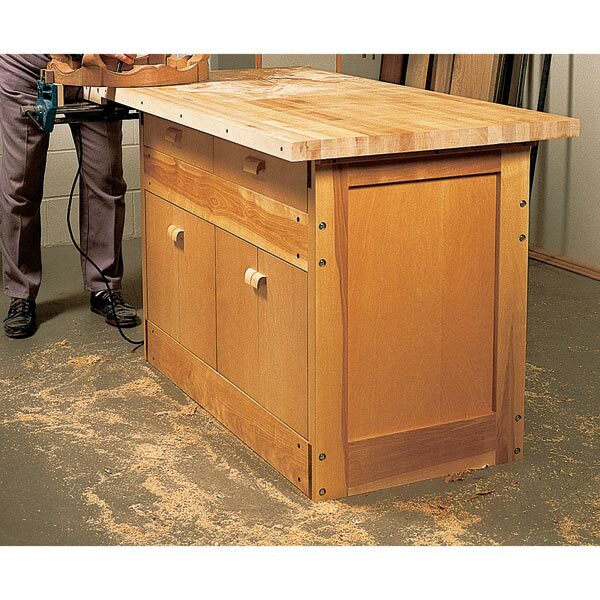 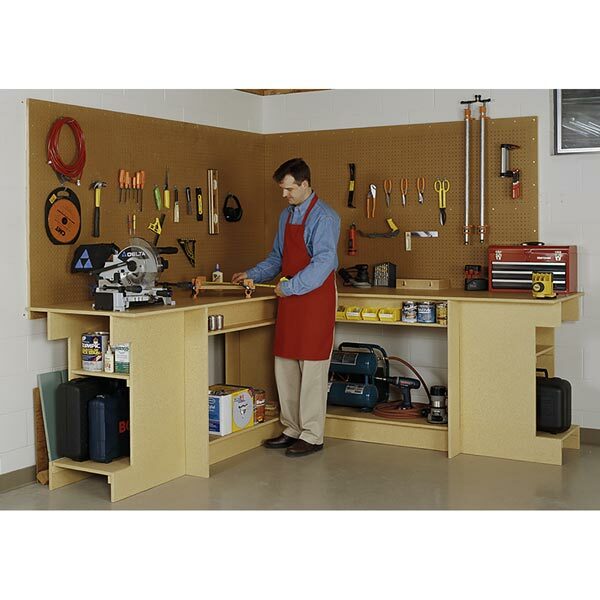 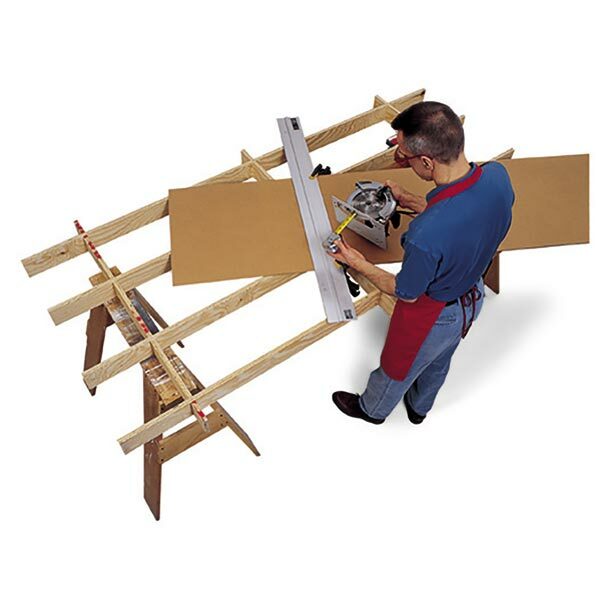 In this plan, you'll learn how to build the end cabinets, drawers, and laminated benchtop. 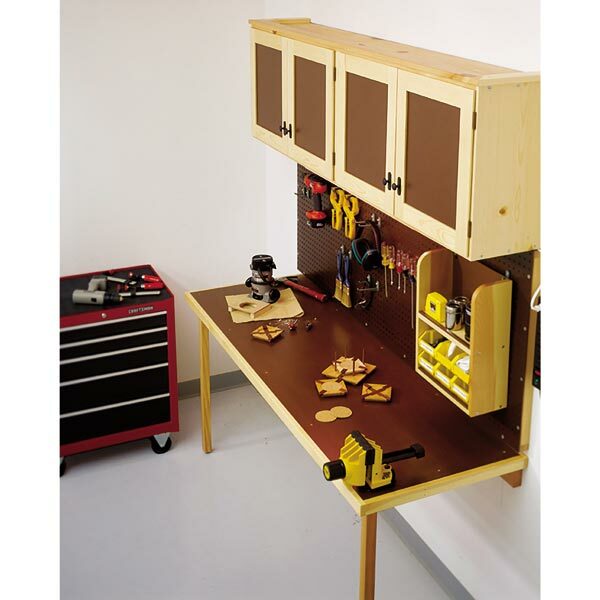 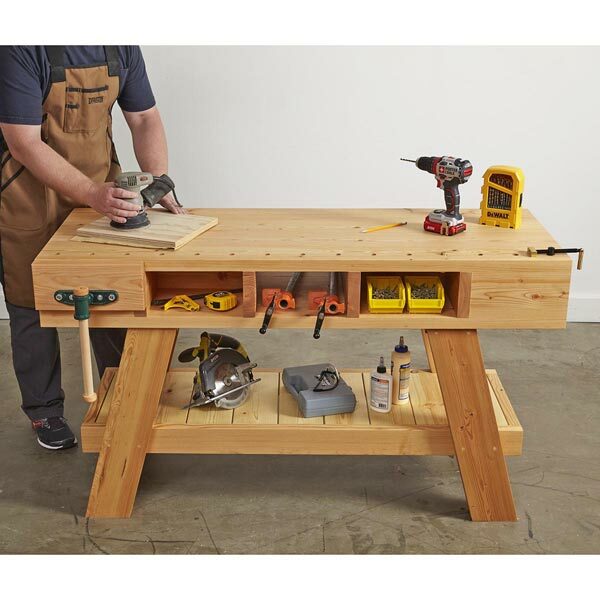 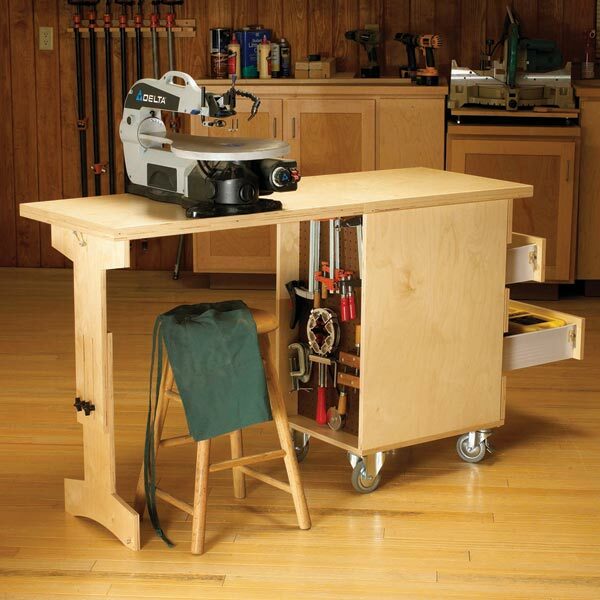 Then in Part 2, available as a separate downnloadable plan, we'll show you how to build the center cabinets with the Lift-Up Router and Tool Table. 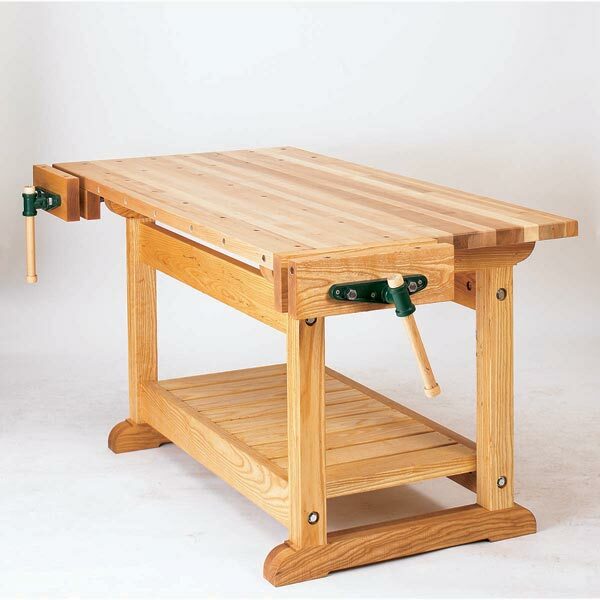 Measures approximately 98" wide, 25" deep, and 37-1/4" tall.